2019 Camp registrations Are now open! 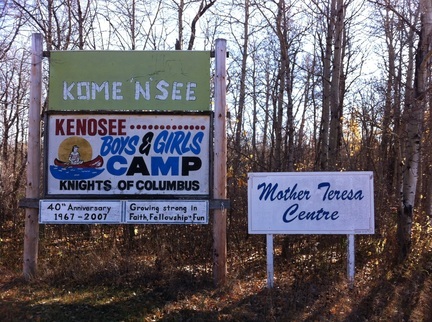 Welcome to our Catholic Church Camp, located at Kenosee Lake, in the beautiful Moose Mountain Provincial Park in Southern Saskatchewan, Canada. Regardless of whether you're a kid, an adult, actively seeking God in your life, or just simply need to "get away", this is the place to come to. We offer summer camps for kids and for families. Outside of our summer camps we also offer retreats for individuals and families. Surrounded by trees, fresh air, and a peace beyond understanding, this Church Camp facility helps you get away from the busyness of life and get back to nature, peace, and to God. Even though our Kid's Summer Camp is super busy with tons of activities, life here is generally slower. This is the chance for you to get your breath back and rediscover your real self. Contact us to learn more about our summer camps or our directed and self-directed retreats. The REUNITE program for Families and Friends! Because we are a charitable organization within the beautiful Moose Mountain Provincial Park, and in keeping with what our institutional camp lease agreement with the government of Saskatchewan allows for, we are no longer "renting" out our facilities to private families as we have been accustomed to doing in the past. INSTEAD...We highly encourage families to sign up for our BRAND NEW "REUNITE" PROGRAM for families and friends. Click HERE for more information or to REGISTER for our brand new REUNITE PROGRAM. "A place of retreat for youth, young adults, adults, families, and groups - to encounter God in a wilderness environment."